Use GPS data to track your entire fleet. 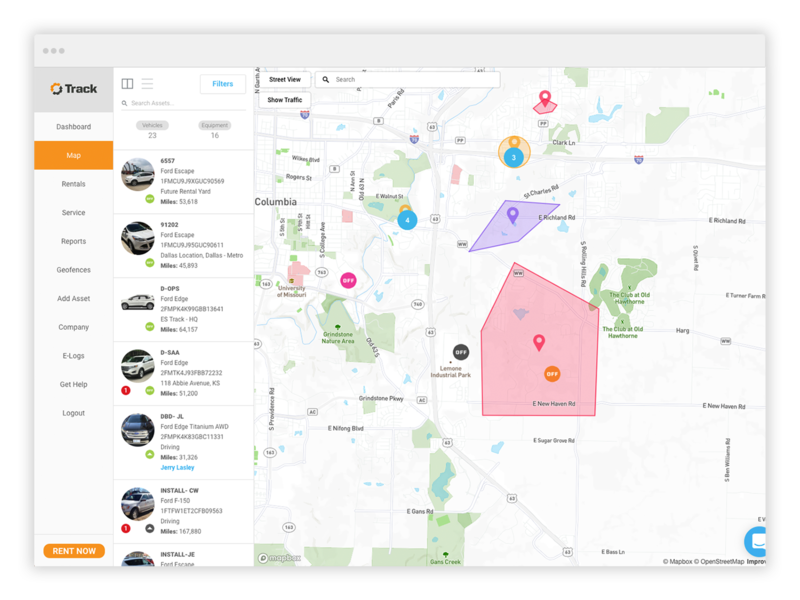 GPS tracking your vehicles and heavy equipment is the standard—but EquipmentShare Track does more than just locate your fleet assets in real time. Set Geofences around your jobsites to keep equipment where it’s supposed to be, and get alerts if assets go outside the Geofence. Track-equipped vehicles in your fleet record Trip Lines, showing you exactly where your vehicle traveled and when it was on the road. See a vehicle’s trip in real time, or select a date range to see past trips. Use GPS to not only locate every Track-equipped vehicle or machine, but also to know where it’s headed, where it’s been and if it’s in the wrong place. More features to help your fleet operate.